IT WASN`T ME, GUV, HONESTLY! 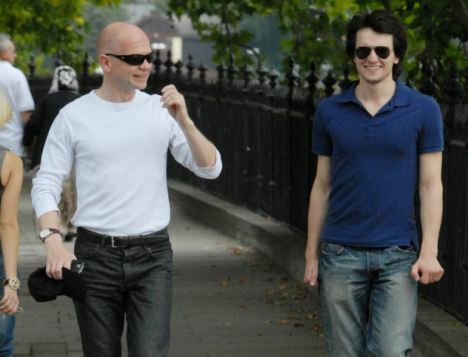 CONSERVATIVE MP WILLIAM HAGUE TAKES A STROLL WITH A FRIEND NEAR WESTMINSTER SHOWING OFF HIS NEW LOOK! You can rest assured William Hague knows nothing about these 14 historical cover-ups, plus he has never heard about Elm Guest House and he definitely never, never, never, never heard anything about the Kincora scandal. It looks like the UK MSM have now decided to tell the UK public all the information which has been freely available on the internet for years. Of course they will try and portray it as “breaking news” which they themelves have assiduously discovered!!! WILL THE GINGER WHINGER HAVE THE LAST LAUGH?